Jerry Mitchell at his desk at the Jackson Clarion-Ledger in Jackson, Miss.. Award-winning investigative journalist Jerry Mitchell, best known for his reporting on the Civil Rights movement in the South, will speak 2 p.m. Wednesday, Oct. 5, in Williamson Hall on the campus of Youngstown State University. The event, part of Youngstown’s Nonviolence Week, is free and open to the public. The lecture is sponsored by the YSU Department of Communication and Africana Studies Program. Mitchell, who has served as an investigative reporter for The Clarion-Ledger in Jackson, Miss., for nearly 30 years, has worked to put wanted murderers in prison for crimes dating back to the Civil Rights movement. His award-winning reports have aided authorities in jailing four members of the Ku Klux Klan, including Byron De La Beckwith for his role in the 1963 assassination of Medgar Evers and Bobby Cherry for his involvement in the 1963 bombing of the 16th Street Baptist Church in Birmingham, Ala. In addition, Mitchell’s reporting helped in catching Edgar Ray Killen, who arranged the 1964 murders of James Chaney, Andrew Goodman, and Michael Schwerner. Killen is currently serving a 60-year term for his role. This case was the subject of the 1988 film Mississippi Burning. 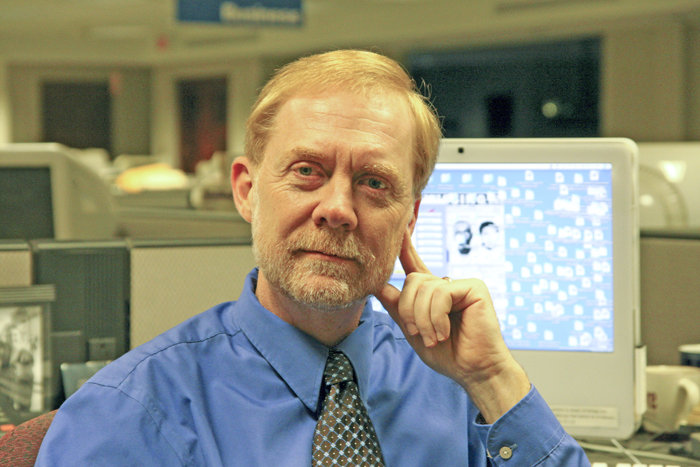 Mitchell has won more than 20 national awards, including the George Polk Award for Justice Reporting. He has a blog on The Clarion-Ledger’s website entitled “Journey to Justice,” where each week he posts entries on important events in black history. Recent posts have included items regarding the anniversary of the Tuskegee Airmen’s first flight, Jackie Robinson’s induction into the Baseball Hall of Fame and the birth of Ruby Bridges. To check out the “Journey to Justice” blog, visit www.clarionledger.com/blog/journeytojustice.